There are many awards and conferences opportunities for faculty and staff at Lethbridge College. While some are specific to teaching and learning, many are related to leadership in learning. The deadline for nominations for the National Institute for Staff and Organizational Development (NISOD) Excellence in Learning Leadership Award is February 11, 2019 by noon. The purpose of the NISOD Excellence in Learning Leadership Awards Program at Lethbridge College is to recognize members of the faculty, staff and administration for outstanding accomplishments in improving student learning. Recipients have demonstrated meritorious learning leadership that supports our College's values. Nominees must be full-time employees of the college. Term-certain faculty members are also eligible for the award after two years of service to the college. Submissions for consideration need to reflect the ﻿﻿nomination criteria﻿﻿ and be submitted on the ﻿nomination form﻿. Award recipients will be determined by the selection committee. The selection committee includes the following representatives: 2 Deans or appointed representatives, 1 representative from Student Services, 1 representative from the Student Association, and 1 member from the Faculty Association (none can be involved in a nomination). The Committee Chair (and non-voting member) is the Learning & Development Consultant from CTLI. The selection committee will use this rubric to determine the successful candidate. Recipients of the award will be offered a grant of up to $2000 to offset expenses to attend the NISOD International Conference in Austin, Texas May 25-28, 2019. Recipients will also be recognized at the Refresh Conference on our campus spring 2019. Submit the completed nomination form to nancy.barajas_jaimes@lethbridgecollege.ca. Bill Nykiel is one of the recipients of the 2017-2018 NISOD Excellence in Learning Leadership Award. The Award recognizes members of the faculty, staff and administration for outstanding accomplishments in improving student learning. Bill leads by example and is an outstanding role model and mentor to many. He is exceptional at building, maintaining, nurturing, and growing new collaborative partnerships. Bill always has, and continues to, live in the present while being very aware of the future landscape of the College. His vision to develop a Practice Placement Office began about 10 years ago and has grown to include both the Center for Health and Wellness as well as the Centre for Justice and Human Services with plans to include all Centers. This vision was aimed to support student and staff success through increasing efficiencies, increasing standards and consistencies, enhancing relationships through liaising with internal and external stakeholders, ensuring quality assurance and considering occupational health and safety of all. Bill is viewed provincially in the student placement administration circles as a source of knowledge, wisdom, and logic. When making decisions or changing processes, he is inclusive and seeks input/feedback from those individuals affected. His genuine, caring nature and honest, respectful approach to his fellow employees and students is evident. He lives what he believes and those around him aspire to be like him. Sheri Wright is one of the recipients of the 2017-2018 NISOD Excellence in Learning Leadership Award. The Award recognizes members of the faculty, staff and administration for outstanding accomplishments in improving student learning. 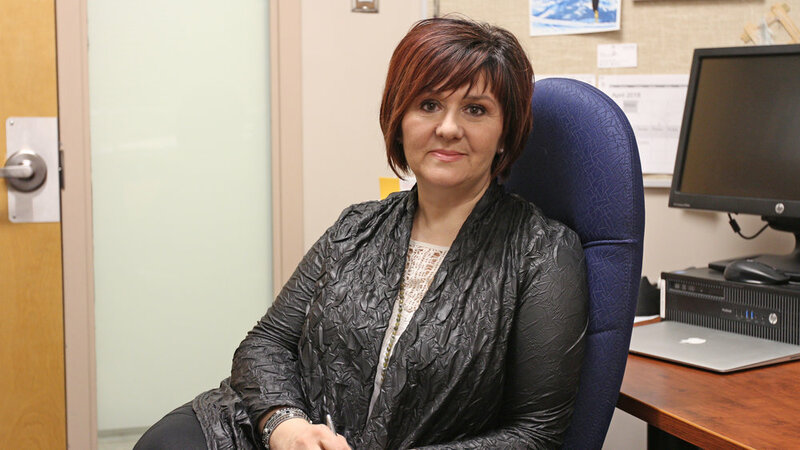 Sheri's philosophy and understanding of education, leadership, and inspiring innovation have transformed education at Lethbridge College in ways that have had lasting impacts. Within her short time as SPHERE Chair, she has redefined existing teaching philosophies and best practices to align with our student population and most current research in simulation. These best practices encourage students to push their limits and have failure, learn to take risks, recover from errors rather than avoid them, challenge their comfort zones, and thrive in uncertain and changing environments. She recognizes these practices will help foster psychological resilience, prepare students for the rapidly changing landscape of their respective industries, and foster leadership skills. Sheri is masterful at creating inclusive, collaborative, and thriving learning communities and has proven this ability time and time again with how engaged she keeps her staff, students, and other campus areas. Sheri has a philosophy that engagement is the key to sustainability. Sheri's ability to champion change in best practices and models of learning doesn't only stem from passion, but also from a significant commitment to professional development, research, and collaborative creations. Sheri is an engaging leader and takes the approach to welcome ideas from all staff and offer support; she leads with latitude and respect. Nominate a deserving instructor... Deadline is March 29, 2019. One to two awards will be offered each year. Each recipient will receive a certificate awarded by the Faculty and Students Association. Instructors who have delivered a minimum of four semesters of credit courses at Lethbridge College are eligible for nomination. The nominees must be employed at the College the year in which they are nominated for the award. Teaching Excellence awards are open to ALL teaching staff. Nominations are eligible for the current year as well as the following year providing the nominee indicates their interest in having their nomination remain standing. Note: Nominees for LCFA/SA Teaching Excellence Awards may be kept on file and used for ACCC or NISOD nominations. Step 3 The nominee submits an email to give consent to the nomination. Cherie, Cyndi, and Shane are this year’s recipients of the LCFA/SA Teaching Excellence Award. Your commitment to excellence in teaching is an inspiration to us all. A teacher cannot exist without a learner. Teaching impacts the learner when we understand the learner in their own context and not our own. It is here that we have the ability to inspire, to motivate and to educate. Classroom goals are to unite routine stability with strategically placed variance. A combination of lecture halls, one-on-one critique sessions, video design assessment, online technology podcasts and small group quick prototyping sessions provide the students with an environment that enables them to be both structured and creative for the duration of their time here. They are encouraged daily to think critically and creatively and to understand the design-thinking process. We are both process and results oriented and we work toward remaining open minded as our design skills and working relationships strengthen and grow. Mutual respect, honour, and most of all – humour with a dose of Pop Culture thrown in! This is my teaching philosophy. I get the privilege of literally practicing what I preach. My students benefit from learning how psychological and sociological theory is translated into practice. As a Child and Family Therapist and a Lethbridge College Instructor, I use the two interchangeably. As a therapist, though I practice from an eclectic model, my basic underpinning is the Child or Person Centered model. Therefore, in the classroom my pedagogy is heavily influenced by this model to be primarily Student Centered. Though the Socratic method of teaching (relying heavily on asking questions and drawing out discussion and dialogue) is a big part of my daily teachings, old-fashioned lecture mixed with technological aspects of IMDB, YouTube, Netflix (for those awesome Pop Culture references!! ), along with small group discussion, comprise my classroom environment. My main goal is two-fold – 1. Enable each student to become the best version of themselves as a student that they can, and 2. If the only thing they learn by the end of the semester is how to think critically, I’ve done my job! Since I specialize in developmental theory, I also structure my lectures throughout the semester to follow that type of order. At the beginning they are new to the class and need more guidance and support, as they learn more (expectations and course content), they should need me less and less for the “hand holding” and we can rely more and more on delving deeper into topics and tackling more controversial aspects of content in a safe, mutually respecting environment. I love what I do and I love life-long learning. I literally have the best of both worlds!! Teaching to me entails a relationship between the student and the educator, each with respective responsibilities that they need to be held accountable for. The student must be alert, participatory and “open” to learning. These are not easy attributes to bring to every lecture or laboratory session. It is the responsibility of the instructor to foster those attributes and behaviors. This is where the difficulty in teaching lies. Instructors must be engaging, interesting and demonstrative. These are not easy attributes to bring to lecture and lab on a daily basis either. To that end – enthusiasm goes a long way to creating the ideal learning dynamic. If you as an educator are excited about a topic (as dry as it may be), the students will pick up on that energy and be more alert, participatory and “open” to learning. Florian Linder is the recipient of the 2017 – 2018 LCFA/SA Rookie of the Year Award. The Award recognizes a member of the faculty, for outstanding accomplishments in improving student learning. Florian has demonstrated commendable learning leadership that supports the values of the College. Congratulations and thank you for your exceptional leadership. I’m still developing my teaching and learning philosophy, however in coaching my ultimate objective is to provide the athlete with the necessary skills and knowledge to become an active participant in their training. An athlete who understands their body and the reasons for specific training stimuluses becomes an athlete who can adapt to changing scenarios and still be successful. I can say that my teaching philosophy will mimic my coaching philosophy in the fact that I want to provide the student with the required tools for them to be able to adapt and apply their knowledge in different situations. If individuals can use the skills they have learned and apply them in different scenarios to solve problems they are on their way to becoming independent thinkers. Like athletes students learn in many different ways. I attempt to provide the student an opportunity to experience lessons in different fashions whether kinesthetic, auditory or visual in order to appeal to all learning types. However my main principle is to keep it simple, as in coaching I often see the learner paralyzed by too much information being provided to them. My goal is to provide students with tools and give guidance as to how those tools can be used to make informed and educated decisions. Invigorate is an inclusive celebration for all employees, designed to showcase our culture and our commitment to lifelong learning and to build and strengthen our community. This employee development day will be held May 1 from 8:00 a.m. to 4:00 p.m.
Our day begins in the Val Matteotti Gymnasium to experience and learn together from two influential keynote speakers. Breakout sessions throughout the day will focus on building community, culture and commitment. Be ready to share a learning opportunity that enriches us as individuals and collectively builds on our culture. Register today to join us for learning, celebration and community building. Proposals to present are now being accepted from all employees. We all have expertise to share with others, no matter what our role is at Lethbridge College. All Lethbridge College employees are welcome to submit proposals to present at Invigorate in 30-minute or 45-minute sessions or a poster session. The submission form is online and must be submitted electronically by noon March 20 to pd@lethbridgecollege.ca. Please share your expertise in a way that celebrates community, culture and commitment. Kate Davis has the unique ability to find humour in any situation and offer creative solutions to defuse frustrations in both the workplace and at home. A five-time nominee for the Canadian Comedy Awards who has opened for the likes of Bill Clinton and Barbara Walters, as well as the star of many television comedy specials, Kate's generous insight and hilarious presence is a powerful combination in helping organizations empower their staff with effective tools for managing stress and sustaining motivation. Are you overwhelmed with everyday demands at work and at home? Is the pace of life leaving you breathless? Wondering what you can do to de-stress and re-charge? If so, Brian Keating’s magical presentations allow you to forget your problems and be whisked off to many of the world’s most wondrous places will leave you feeling like you got the break you needed. A celebrated wildlife expert and world traveller, Keating takes audiences on adventures from jungle safaris and mountain climbs, inspiring audiences toward wanderlust and exploration. For over 20 years, Keating ran the Calgary Zoo’s nature-based travel program. Presently, he is the Zoo's honorary conservation advisor to their outreach efforts, and a part-time adjunct assistant professor of anthropology at the University of Calgary. Our keynote speaker, Trevor Ragan, an entrepreneur, creative developer, researcher, and lecturer on growth mindset offers the keys people of all ages need to succeed in the workplace, the classroom, and at home. With a foundation in motor learning, performance science, and psychology, Trevor Ragan’s keynote presentation, Train Ugly, provides us with information to help us acquire skills, appreciate obstacles, embrace pressure, work hard, and continually learn. At the end of the conference, you will walk away with skills and strategies that you can use in the workplace and at home. Check out this awesome video showcasing Refresh 2018. Huge shout out and thank you to Lyle Ruggles for putting this together. "I am on n adventure to challenge and question everything that we know about sports, education and development. Through this journey I’ve worked with talented individuals from all over the world. These experiences helped me to discover some incredibly important research in the fields of motor learning, performance science, and psychology that should have totally changed the way we train and develop students, athletes, and people in general – but they have not. It’s my mission to change that." Did you miss the Refresh 2018 keynote presentation? Not to worry – we have you covered! You can check out Trevor Ragan’s keynote presentation, Learning Like a Jungle Tiger: How to overcome fear and a fixed mindset to become a better learner, here. CanvasCon is Lethbridge Colleges’ own Canvas conference, providing in-house opportunities for learning and networking on all things Canvas! This event includes coffee and keynotes, three breakout sessions, lunch and also Canvas feature round table discussions. Visit the CanvasCon website for registration and up-to-date information on sessions!